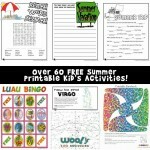 One of the funnest things about summer is all the fun water play ideas out there! One of my favorite things as a kid was playing with water balloons. 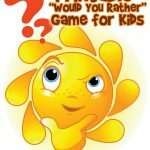 However, water balloons are disposable, not great for the environment, and are a huge choking hazard for children 3 and under. 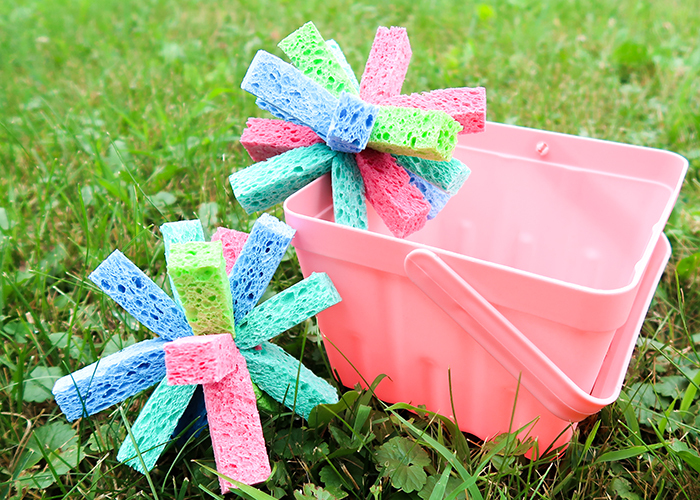 So instead of water balloons this summer, try making these DIY Sponge Water Bombs! 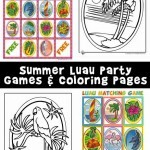 They’re reusable, safe for little kids, and don’t hurt as much as traditional water balloons. Here’s what you’ll need to make them! 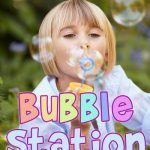 You might also like our DIY bubble station project! 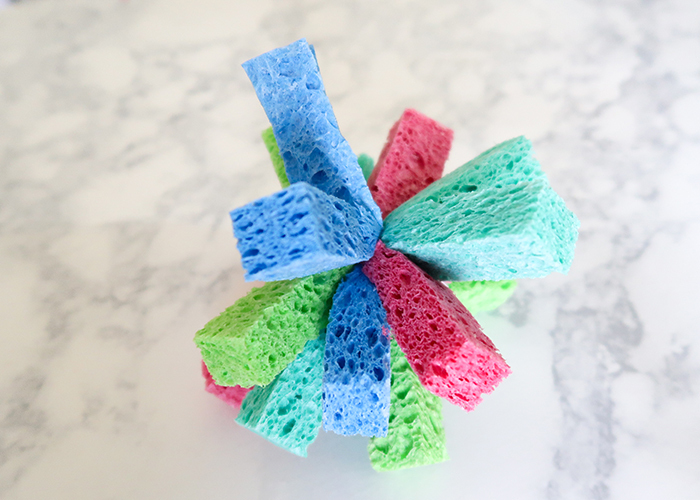 Brightly colored sponges. 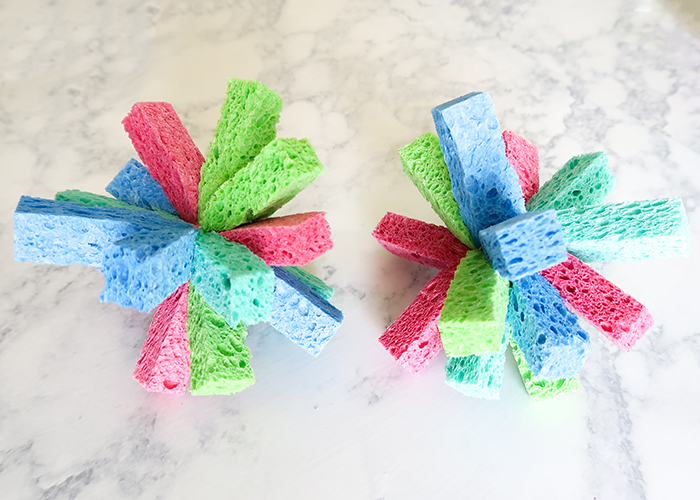 Each pack of 4 sponges makes 2 water bombs. I found mine at Target, but you can also find these at the dollar store. Baking twine or other strong string. 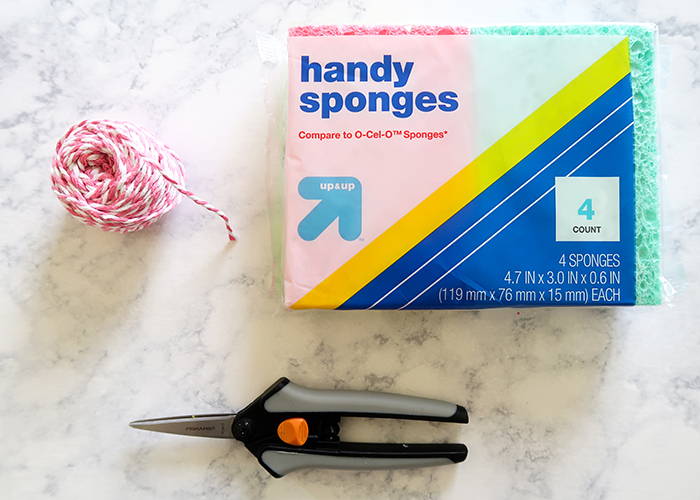 Stay by laying out your sponges and making sure you have a fun variety of colors. Take one sponge and cut it in half lengthwise, and cut those halves in half again. You’ll have 4 long thin pieces of sponge. 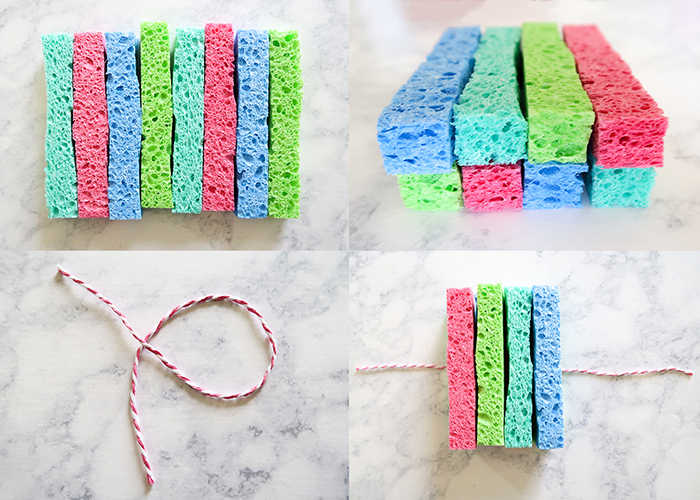 Do this with all your sponges until you have a pile. 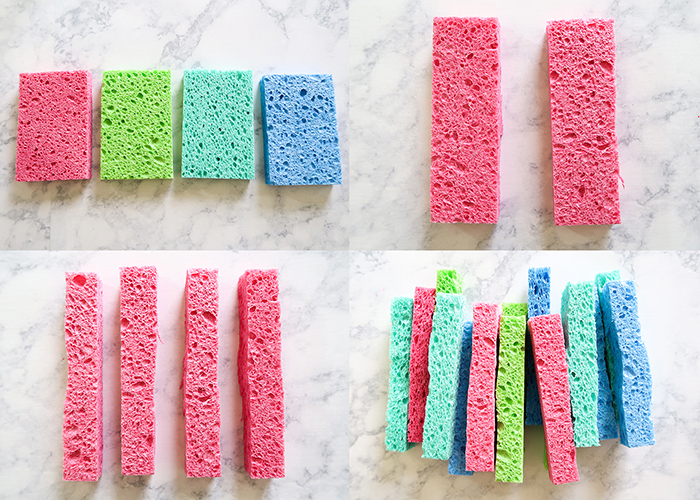 Grab 8 of your sponge pieces, and stack them on top of each other in two rows of 4. Then you’re going to cut a piece of your baker’s twine, and slide it underneath your sponge pieces like shown. Make sure it’s centered! 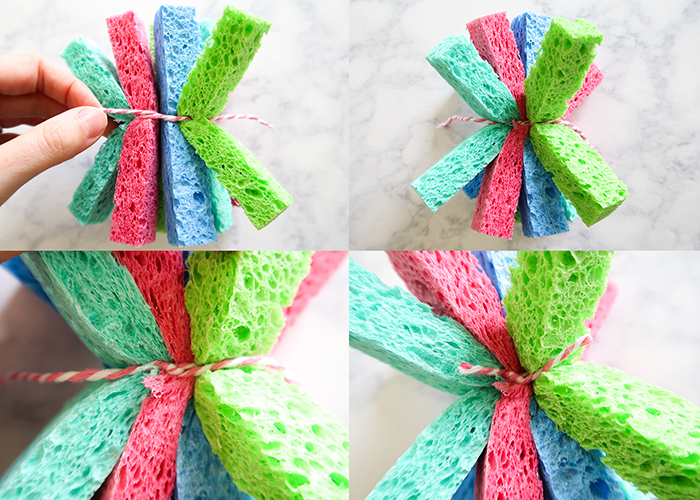 Bring the string around your sponge pieces and tie it as tightly as you can! Then knot it a couple more times, and trim off the long ends. Now just fluff up your water bomb. And make a bunch more! To use them, just dunk them in a container of water. I like using these small baskets I found. 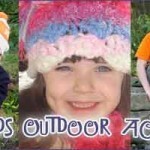 You can wring them out so they’re lighter and softer when you throw them, or throw them fully soaked for a big squish! 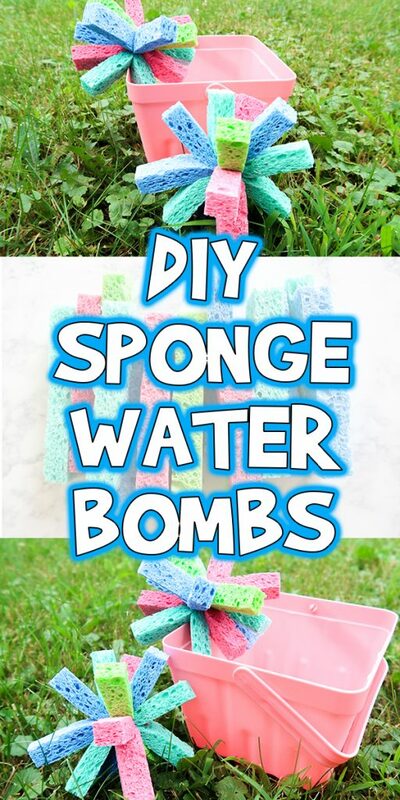 I hope you have fun making and playing with these DIY Sponge Water Bombs! 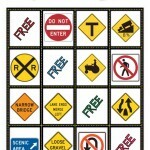 Car Games for Kids: Play Road Trip Bingo!